Who says I’m a cabbage? In 1968 Thursday magazine published an article claiming ‘suburban neurosis’ was leading to depression in women, and questioning the assumption that women were content to spend their lives devoted to housework and childcare. Psychiatrist Fraser McDonald advised women to go out to work, even if they earned only enough to pay a babysitter. 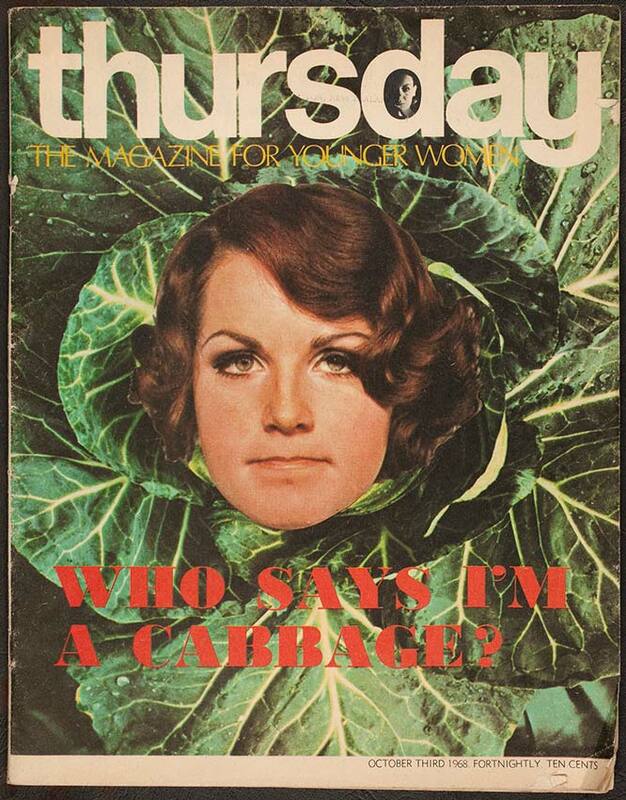 One woman, Nadja Tollemache, commented, ‘All this bottling and baking is of no virtue if it is done because the neighbours do it.’ The magazine’s cover, with its tagline ‘Who says I’m a cabbage?’, is a challenge to the notion that housewives were vegetating in suburban cabbage patches.